You might think of energy efficiency as a modern idea, but humans have spent thousands of years finding creative ways to keep their homes warm. The Brits of the Stone Age used white chalk walls to capture more heat, while the Romans basically invented central heating with the hypocaust. The modern home and the clever ways it can trap heat is the culmination of this historical ingenuity. Walls are built with heat-reflecting technology, roofing contains mineral fibre insulation, and double-glazing windows are filled with argon gas to reduce heat loss. 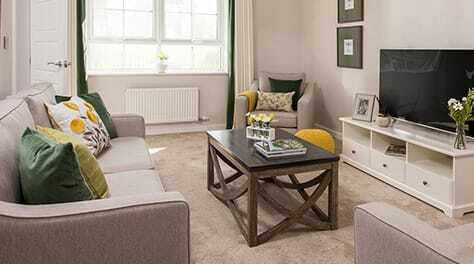 A new build house can actually be up to 65% more energy efficient than an older property of the same size. However, putting the central heating on in a house untouched by modern methods will likely result in losing all of that heat you’re paying for, so if you’re living in an older property then you might consider how to keep warm this winter while being energy efficient. Fortunately, there are some simple, yet creative solutions for preserving warmth that are far simpler than Roman under-floor heating design. 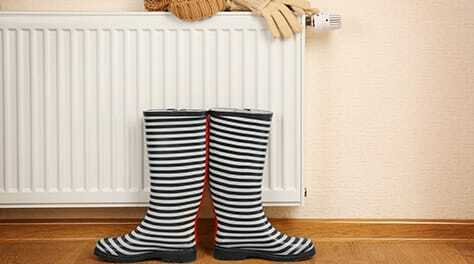 8 cheap and easy tips for heating your home, and keeping it warm. You can take care of draughts from windows with self-adhesive foam strips, but breeze can also sneak in through chimneys, letterboxes, and even keyholes. Find the cold spots in your house and get them plugged. Rolls of loft insulation are reasonably cheap to buy and, with a bit of planning, easy enough to install yourself. Just take precautions and be fully aware of any hazards in the roof space when fitting the insulation. This classic trick only requires a thin slice of carboard wrapped in some tinfoil. Simply place it behind your radiator and you can reflect the heat behind it back into the room, rather than at the wall. With spray foam insulation you can fill cracks or gaps in your walls and cupboards. Pipe-lagging is also useful for keeping water hot, ensuring effective central heating. Building small, heat-positive habits around the house can all help add warm to your home. Try closing your curtains to stop it escaping through windows, or leaving the oven door open after cooking. Take a moment to consider where your sofa is placed. Is it blocking a radiator? Even if it isn’t, creating more breathing space can help get more heat into a room. 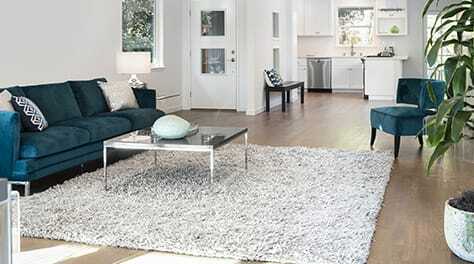 A nice rug with a good knot count can help trap warmth in a room, especially if you have cold wooden flooring. If you’re feeling creative, you could also try tapestries for the wall. Wrap up in your thickest jumper, pop a hot water bottle into your bed, and ensure regular hot drinks are close to hand. Even leaving bath water for 20 minutes after you get out can help. No house warms up quicker than one filled with company. 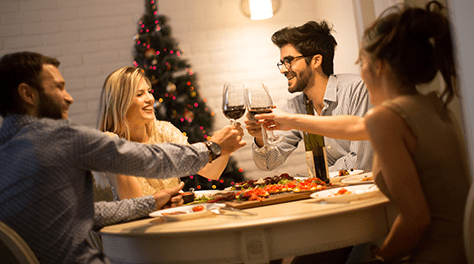 It’s likely you’ll be seeing more friends and family during December, but you could beat the January blues by hosting a few gatherings in your home. Those are some basic tricks for your home that can help make a cold house warm, but we’d recommend undertaking more serious work in order to proof it properly for the future. 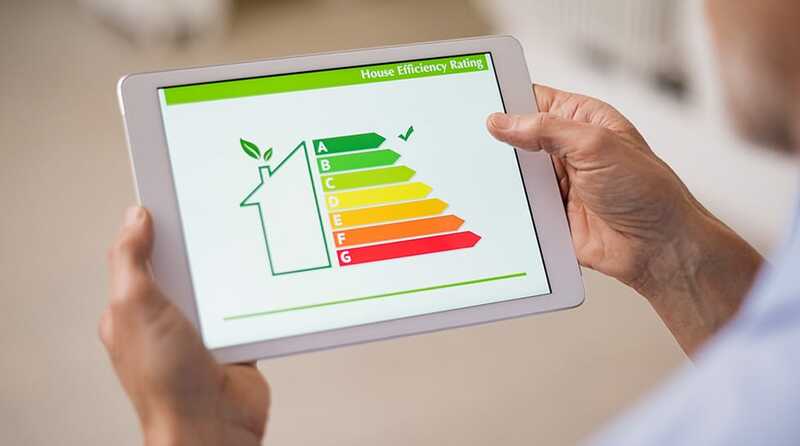 Having those modern improvements to your home could also save you a lot of money each year – and you can find out how much by using our energy savings calculator.